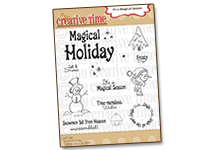 My Creative Time: MCT 45th Edition Release SNEAKY PEEKS Day 2! 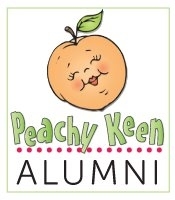 Good morning my sweet friends & welcome to day 2 of our sneaky peeks from the 45th Edition Release! 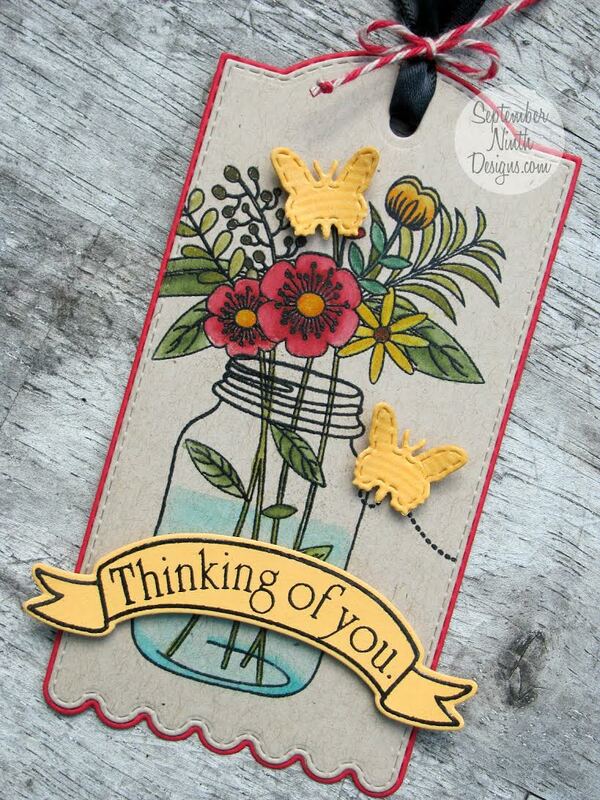 Today my AWESOME team & myself are showcasing a new stamp & die set called "My Thoughts Are With You". 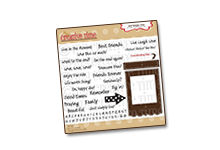 This set has a total of 2 images along with coordinating dies and 10 sentiments. So I thought this would be a perfect addition to our MCT line. 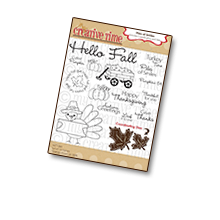 It makes card making that much easier & quicker to throw together in no time at all. 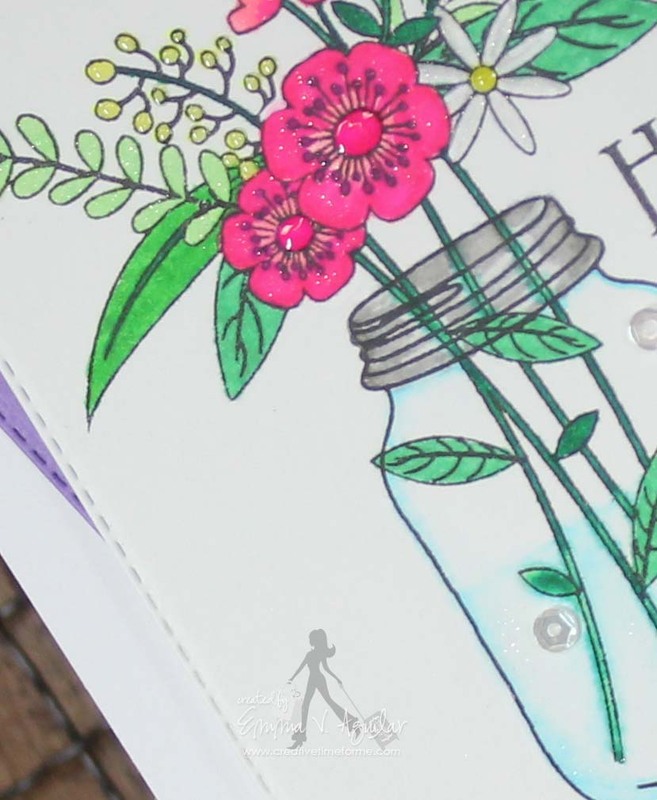 The jar stamp & flowers are 2 separate stamps. I stamped the image onto some watercolor paper that I used my rectangular die to cut out! I colored them in using my ZIG Clean Color Real Brush markers! Last I added 3 little sequins from my favorite Pretty Pink Posh! Just did some finishing touches using my clear wink of stella pen & randomly added some glossy accents! Combining the dotted border stamp with these dies was genius! What a bright and uplifting card! 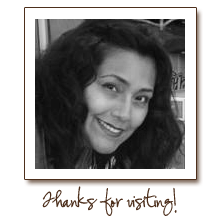 CONGRATS Miss Cheryl, I will email you shortly! Love this stamp and die set! You and your Design Team amaze me with all the talent! Neat stamp/die set. 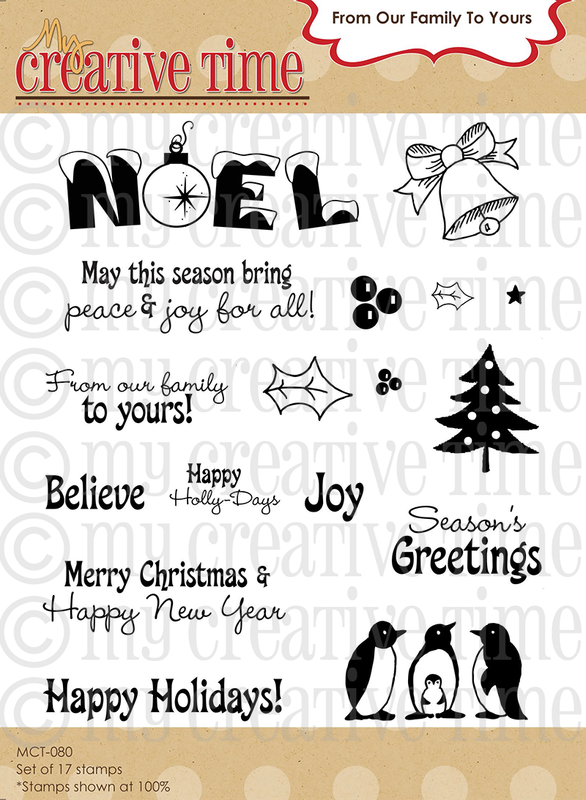 Love your card as well as all other designer cards. Today's stamp and die set is BEAUTIFUL! I love that you've included the beautiful flowers to go with that awesome jar! What perfect timing too...I'm in need of " Thinking of you" & Sympathy cards! Thank you to you and your design team for sharing such wonderful inspiration! Have a great day! Congrats Cheryl! 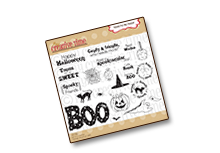 And today's stamp and die set are just fabulous! IT made for such gorgeous projects!! Good Morning Miss Emma OMG I so love today's Sneaky Peek OMG I am a huge fan of Mason Jars!! I love your card....It sure is a Beautiful one!! Love your flowers they are so pretty super great coloring job!! 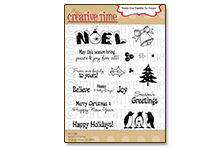 Thanks for another fabulous set of stamps and dies.....and to you & your DT for super clever and creative ways to use them along with your oldie but goody goodies. What a week and it's only day #2...sooooo Excited. Thanks for another super fun Release can't wait for tomorrow. YOU so ROCK!! Oh my goodness this is adorable set. It is cheerful but yet peaceful. Love all the cards by the team too! Wow, this new set is so gorgeous. I love the jar and all those flowers are just beautiful. Everyone did an amazing job! Beautiful card Emma!! Love the watercoloring, just lovely. Lovely card. I want this set! Love all the cards and tags from today! 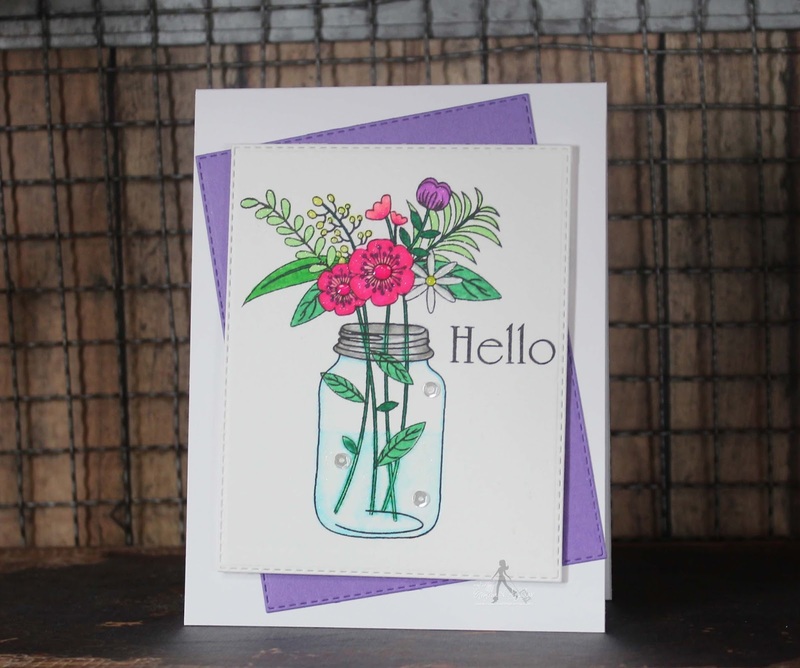 The Mason jar and flowers are sure to be a big hit!! You're right this is the kind of card that wending we didn't have to do but are sometimes necessary. Thank you for sharing your talent with all of us! Such a pretty card, Emma! Love this set!!! Love this. 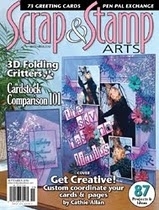 It is so hard to find a nice, formal sympathy card making set. This is a MUST have! Love this card, just beautiful. Love how the flowers pop out of the jar. DT's did amazing projects. Love this release. 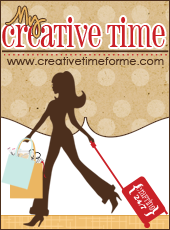 Your products are beautiful and can be used in so many ways! I love this stamp and die set!! Kudos to your design team. Their examples make me smile! Everything you do is so elegant. 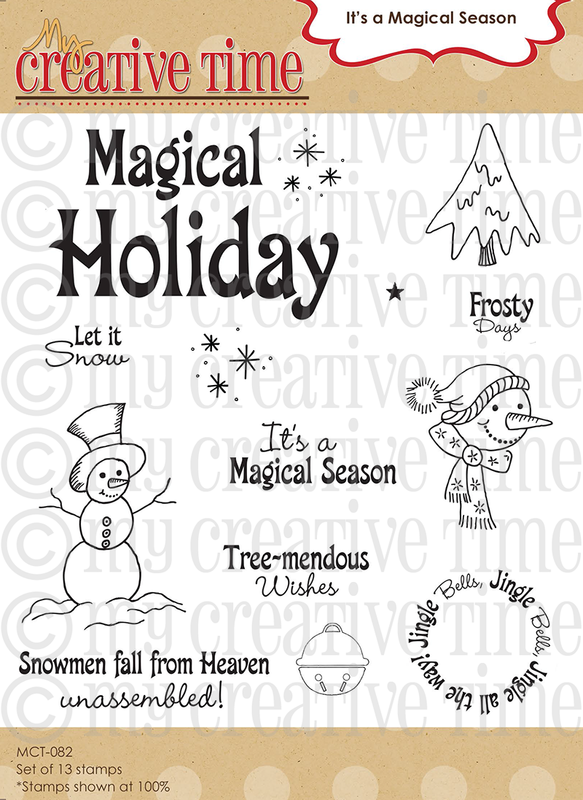 I love this new stamp and of course will need to purchase it. 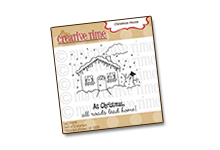 Your design team is super creative and always give some beautiful samples of your stamps and dies. Wish I had just a little bit of your talent. Every project is so gorgeous! Each one shows its own details and truly shows each of your creativity and talent. Great work Emma and team! Beautiful work. 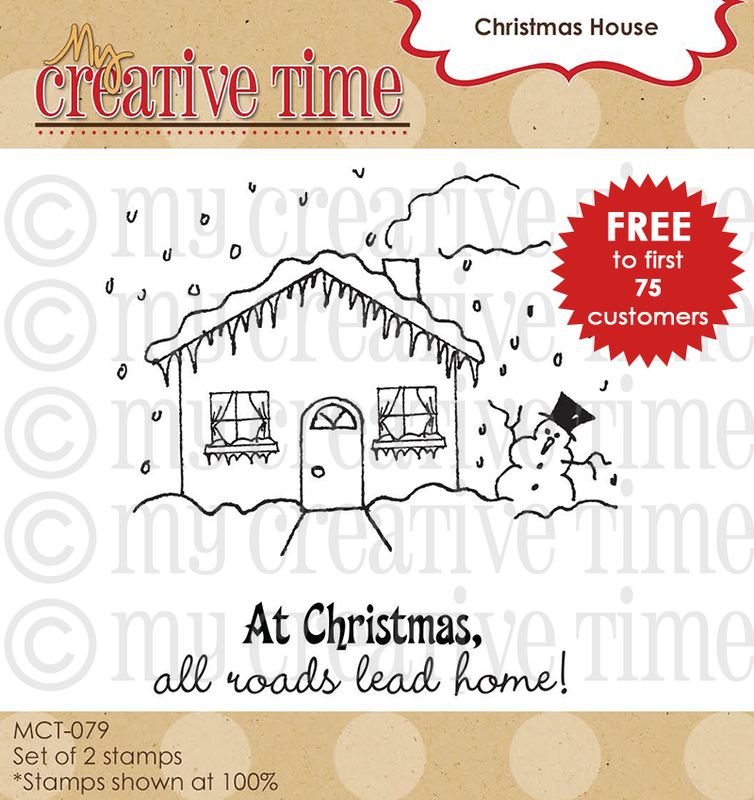 Wow... love all the designs and examples of this new stamp set. Loving this release! Great card. Miss Emma, What a great collections today and as you said your team did a wonderful job with all the projects. I love mason jars and this set is awesome! This has to be one of my favorites in the release. Such beautiful cards from each DT member. Love the colors used on the flowers. So pretty ... I kept saying that in all the comments I think, because everyone's was so super pretty. The DT did such a great job again!! Beautiful card! 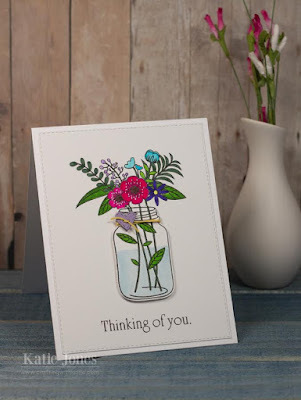 Love the mason jar and the pretty, colorful flower arrangement. I love this die, I've been looking for jar die set! Emma love your card today (as usual) lol. I love this set can't wait until Friday. Great Job! I am so glad the mason jar is getting the attention they deserve. Love it! So many fabulous ideas! 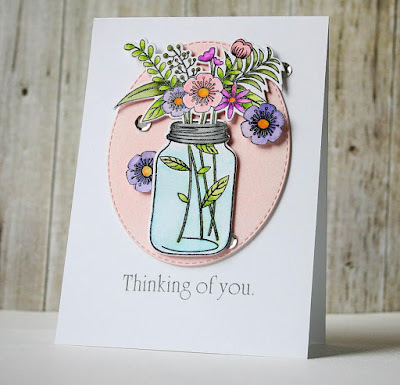 Love the jar and the pretty flowers! Beautiful cards... off to hop and get a closer look at them all! Such beautiful cards and neat ideas from the whole team! Love both the jar and the flowers!! Beautiful card! 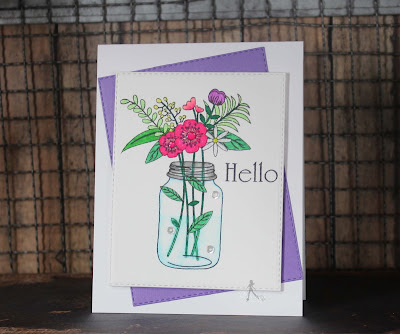 I love the mason jar and all of the pretty flowers! Stunning water coloring. Love those sequins. Love this set. I could really use this for our church card ministry. Beautiful creations DT, Emma gr8t job!!! Very nice set. You and the Design Team did an amazing job showcasing it. Emma, you and your DT did it again -- knocked the ball out of the park! 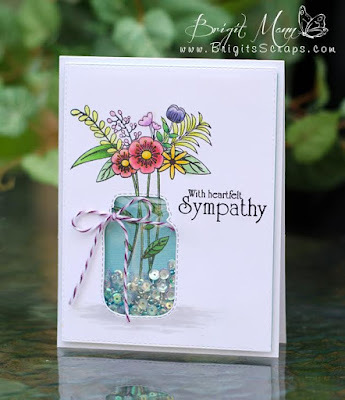 Love the dies and stamps that go with them, especially the flower and leaf arrangement, and who couldn't use stamps to help with sympathy and thinking of you cards. Love the jar and all of today's samples! Oh my word! What a beautiful set and what a super job everyone did using it with different techniques and not just for sympathy. 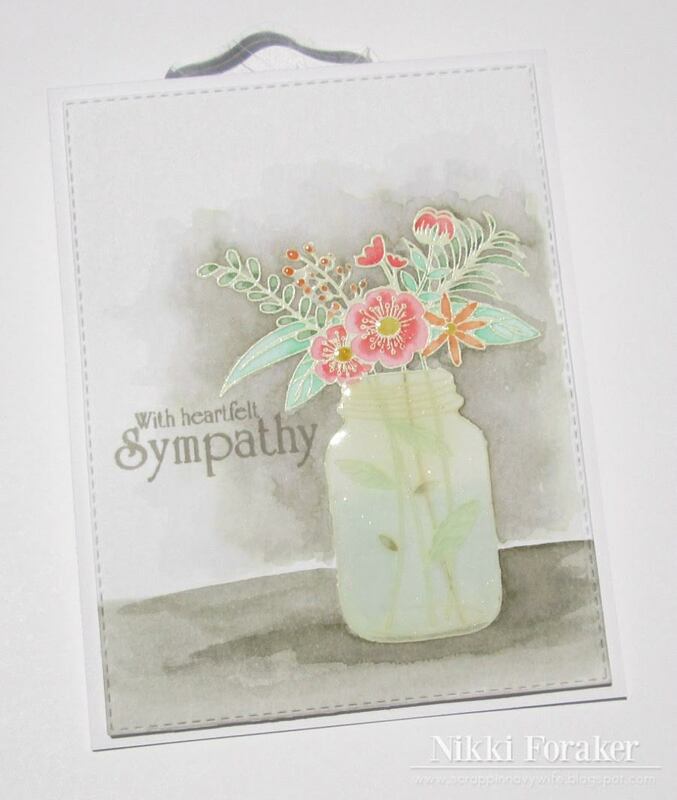 I am glad we have more for our sympathy cards also. Super job everyone! Beautiful set! I love how elegant the flowers and vase are! 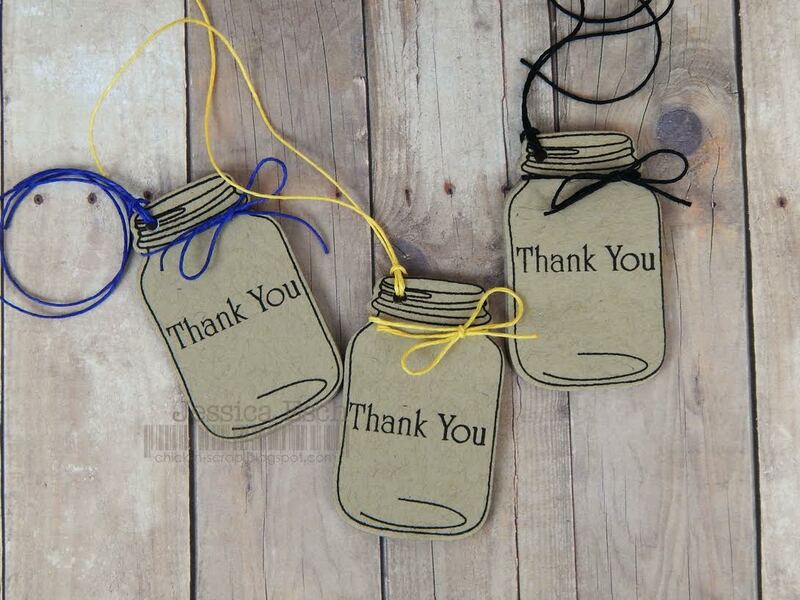 Plus you can make shaker cards with this set too! Woo Hoo! This set makes such a pretty card! Everyone did an amazing job! The jar is a great stamp. The DT did an excdellent job in showcasing it. I absolutely cannot wait to add all of these beautiful treasures to my collection! You've outdone yourself this time!!! Beautiful cards , love this set. Great cards-love the new set! I have seen a lot of jar and flower sets, but this is by far my favorite! I LOVE this!! What a beautiful set, the images are so pretty and the sentiment fonts as always are perfect! Your card isgorgeous Mis Emma! Thanks for all you do and share! OMGoodness I've been sick and literally slept through the first two release days. Your card is beautiful. Thanks for sharing. 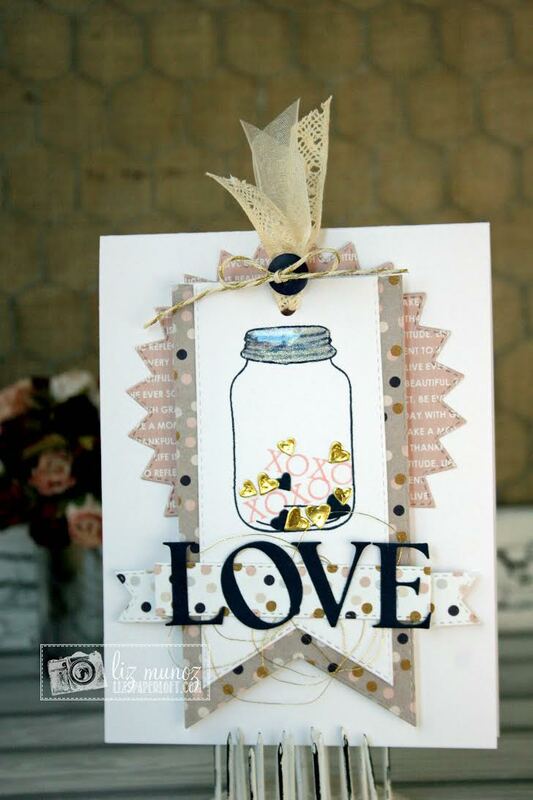 Love the flowers, jar and sentiments. 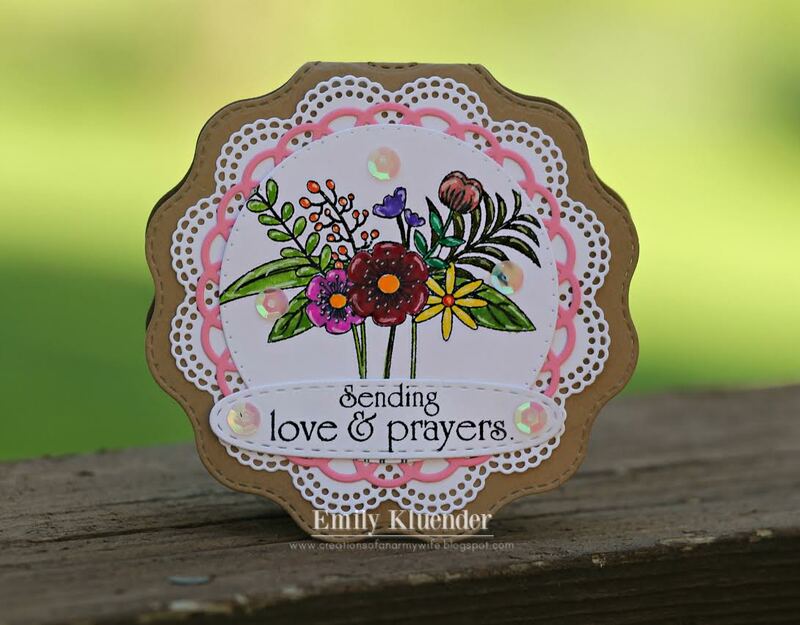 I love this stamp and die set, especially Brigid's card! Wonderful card. Great stamp and die set. So excited that you selected my name as the winner of the Day #1 giveaway! 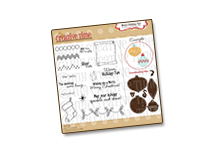 Can't wait to start creating with your awesome dies! Thank you so very much!!! Emma ~ Oh this card is just BEAUTIFUL!! I LOVE how you used the Zig pens ~ I have yet to use them! Adding the Wink of Stella and the glossy accents just adds that EPRFECT touch! I have to say I ADORE this little mason jar too! CONGRATS to the winner ~ she will LOVE them!